for the women~s FitFlop sizing guide. Click to learn more about the biomechanically engineered, ergonomic FitFlop&amp#174 footbed. The sleek and sporty Superskate keeps your energy and style going from day to night. Features shimmery suede uppers in houndstooth print. 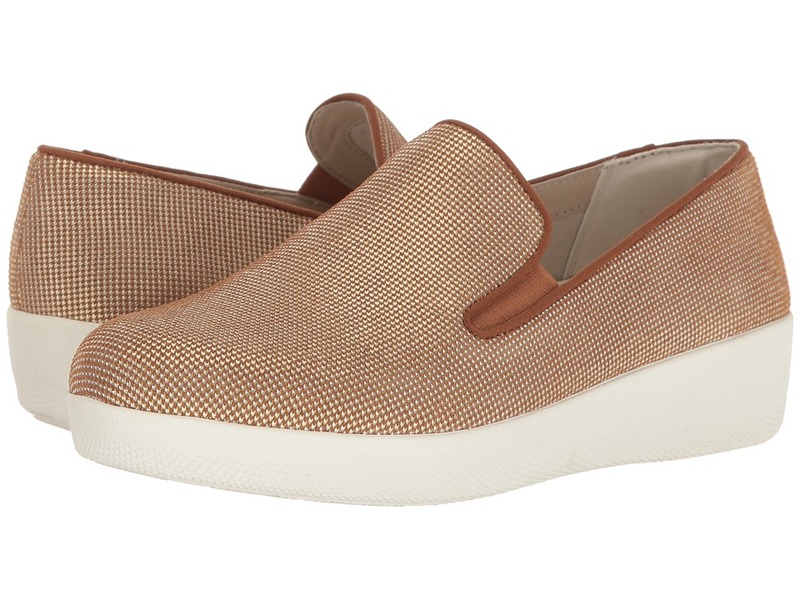 Easy slip-on style with dual goring at sides. Soft and breathable leather linings. Features the SupercomFF dual-density, ergonomic, and pressure-diffusing midsole for optimum support and comfort. Please click for a video about SupercomFF technology. Received the APMA Seal of Acceptance, for footwear found to promote good foot health. Lightweight and slip-resistant rubber outsole. Imported. Measurements: Weight: 7 oz Product measurements were taken using size 8.5, width M (B). Please note that measurements may vary by size. Weight of footwear is based on a single item, not a pair.